There are plenty of freeware utilities on the market which promise to clean your system and bring it up to par with something that you might see in the shoppes, but a lot of them fail miserably or only barely make your system perform better. 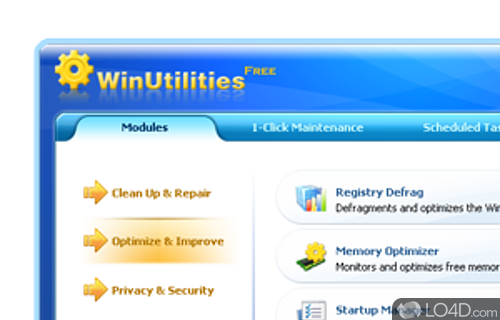 WinUtilities Free performs several different system optimizations and does well at all of them. At the core, WinUtilities Free uses some of the tools which are actually built-in to Windows but using their own interface; that doesn't say much, because Microsoft is actually a very successful software company and it probably does better defragmentations than anybody else, but where WinUtilities excels is it's friendly user-interface with access to several Windows optimization tools combined with their in-house utility applications. With WinUtilities Free, you'll have access to a file shredder (to destroy evidence), a duplicate file finder (to save on disk space), a task scheduler (to perform regular system maintenance) and several other programs which brings your system up-to-par. Overall, the folks at YL Computing have done a great job at providing a completely free solution which takes a go at certain downfalls PC users face today. 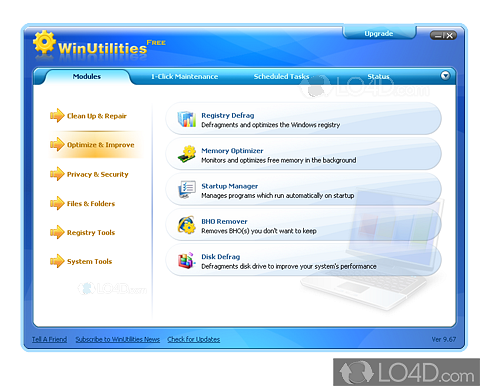 WinUtilities Free Edition is licensed as freeware for the Windows (32-bit and 64-bit) operating system / platform from system cleaning software without restrictions. WinUtilities Free Edition 13.24 is available to all software users as a free download (Freeware). Compatibility with this system optimizer software may vary, but will generally run fine under Microsoft Windows 10, 8, 8.1, 7, Vista and XP on either a 32-bit or 64-bit setup. A separate x64 version may be available from YL Computing, Inc. This download is distributed as wufinstall.exe. We have tested WinUtilities Free 13.24 against malware with several different programs. We certify that this program is clean of viruses, malware and trojans.